Discussions Magazine Music Blog: THE CONTRAST/A Sinister Flick: One of the best Indie Rock albums of the year! Available NOW! 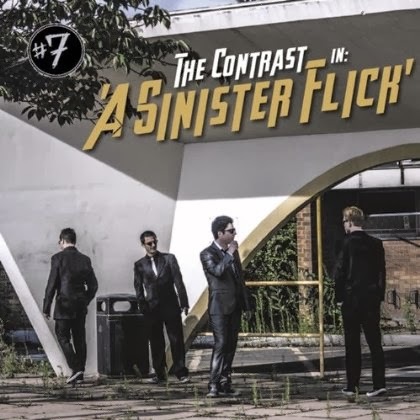 THE CONTRAST/A Sinister Flick: One of the best Indie Rock albums of the year! Available NOW! The CONTRAST is a Peterborough based band who admittedly is bigger “over there” than here. Not surprising really as they had previously been signed to USA based labels including Van Zandt’s own label Wicked Cool Records and have released six albums over the past decade. November 17th date as bassist OVEREND WATTS special guests. A Sinister Flick is a stunning album that shows clearly why this guitar driven power pop four piece can eloquently produce an album full of great melodies and short catchy songs. Quite simply, The Contrast are a band that has unintentionally combined the best elements of different bands into something that is uniquely their own.